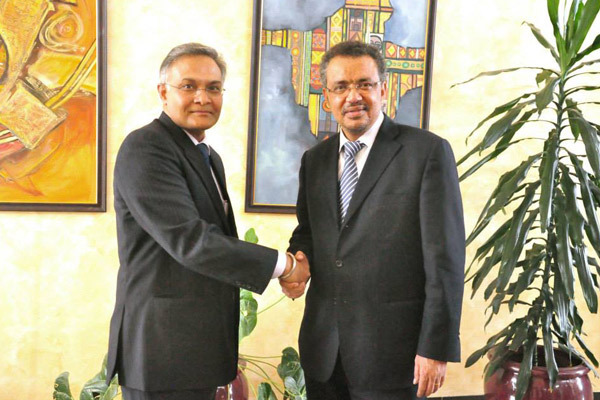 Ambassador of India to Ethiopia and Djibouti and Permanent Representative of India to the African Union, H.E. Mr. Sanjay Verma, had a warm and positive meeting with H.E.Dr. Tedros Adhanom Ghebreyesus, Minister of Foreign Affairs of Ethiopia on 16th June, 2014. Ambassador briefed the Hon’ble Minister on the bilateral cooperation between the two countries and raised issues related to Indian investments and Indian community matters.